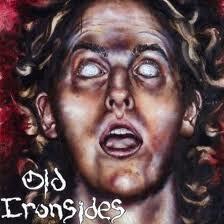 Old Ironsides are a Chicago based band who have taken their name from the nickname of the USS COnstituion - the famous ship that these days resides in Boston harbour. The band formed in 2005 and released an EP in 2008. They've been through various lineup changes and have now released their debut album "The path of madness" which includes four of the six tracks from the EP. The music is Prog Rock and there's plenty of variety here. The music is very good - there's some nice heavy stuff with plenty of power from the guitars, and also some slower stuff. The vocals though are another matter - while they are good and at times work well with the music, at other times they just seem to be lacking the power needed to match the music, and that does tend to bring the whole thing down somewhat. For me "These eyes" is the best track on the album - the vocals and music work perfectly together and its it's a great song. There's certainly some good stuff here, and if you like a bit of Prog influenced rock then this is an album thats worth a listen.